What is solar power system for RV ? It will be a solution including solar panel + inverter + battery storage. Solar panel collect energy from sun and save it into the battery. The battery will provide electricity to home appliance and electronic device through DC-AC inverter. Do I need a solar power system for RV ? 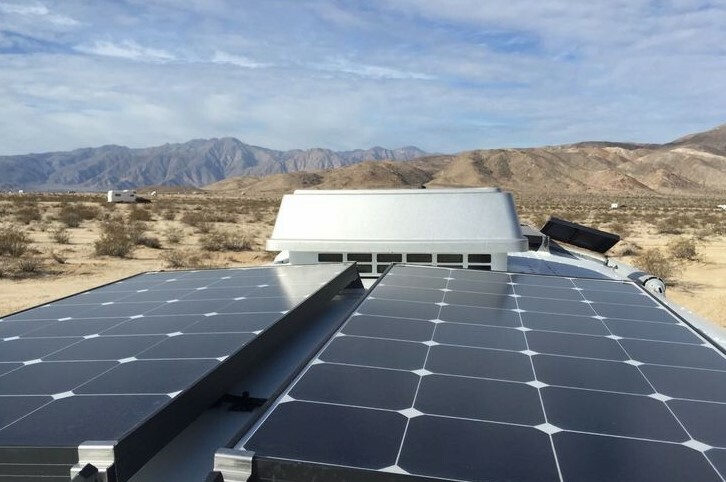 Energy independent – you don’t need to connect to grid when boondocking, solar power system provide totally self-sustainable energy supply for off-grid camping site. More place to go – with solar power system and battery storage, you can go further deep into nature wild and enjoy amazing view where is usually very far from populated area. Silent and clean – stay away from those noisy and polluting oil generator, which should not exist when you are enjoying nature and privacy in remote location. 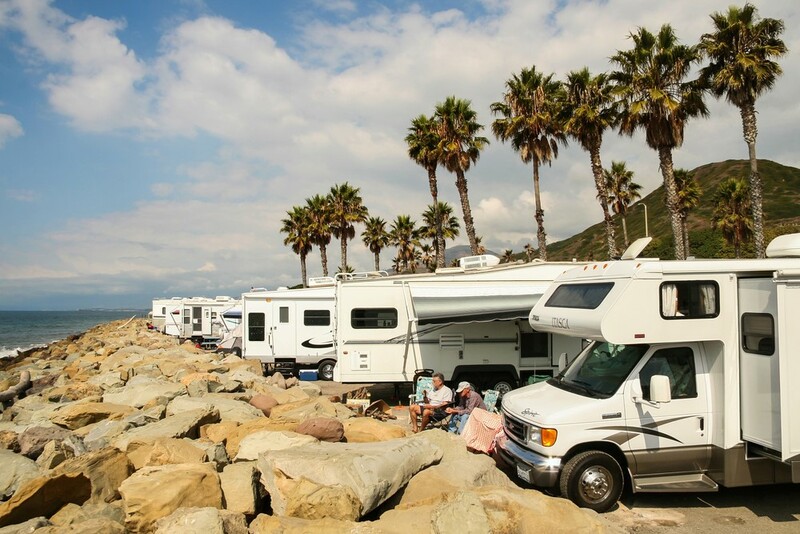 Emergency power backup – if there is mechanical break down and you have to wait on the road or camping site for a while, solar power system will continually support your necessary equipment such as cell phone, radio and lighting. What kind of solar power system for RV is feasible for me ? Hopefully this clears up any confusion on the difference between using amps supplied by the campground electrical source (AC amps), and using amps supplied by the converter (DC Amps). After calculating total power consumption, for example AC 500W, then we have to know how much time they are being used, for example, 6 hours / per day. Then we can know the power consumption is 500W x 6 hours = 3000Wh / per day. Next step, we need to choose the battery type and size. 12V 150Ah AGM and Gel deep cycle battery is recommended for solar power system. (see more) One battery can provide 12V x 150Ah = 1800Wh power storage, in this case we will need 2 pcs battery 1800Wh x 2 = 3600Wh to cover the power consumption. Then we have to calculate how many pcs solar panel, the effective solar exposure is about 4 to 6 hours a day, let’s use 5 hours, 3000Wh / 5 hours = 600W, We need 600W solar panel to supply daily use in RV. However, this is very rough calculation, which is just for idea-catching. The actual usage time and real efficiency of solar power system is determined by many factors, including daily weather change, the quality of solar panel / inverter / battery, the discharging setting of battery, and the installation and wiring quality… etc. Is there any easy solar power system for RV without installation ? This plug-and-go solar power kit doesn't need installation or wiring at all. Its name is TV kit. 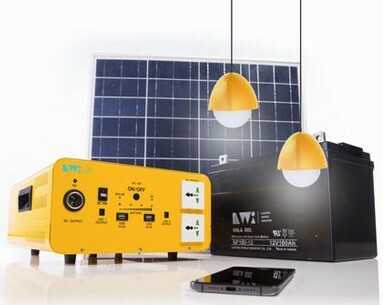 The battery is put inside with inverter together in a portable box, after plug in solar panel, you can start to enjoy solar power system immediately. The box provide AC 400W output for electric appliance, USB output for charging cell phone, and 2 ~ 4 pcs 4W LED lights for lighting. It combine AC output, USB output and LED lighting together in one portable box. If this doesn't meet your needs yet, we have another bigger product, we called it “solar home kit”. The box provide AC 1200W output, you can use more appliances at the same time. The battery of this product can be expanded in parallel, You can adjust the number of batteries according to your usage. 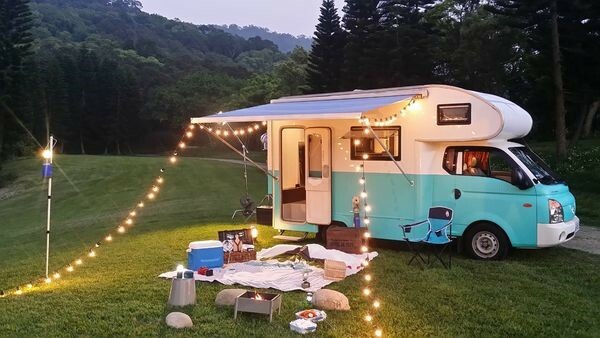 For camping you can connect a small refrigerator, watch TV, charging you phone, connect any appliance you want to use. 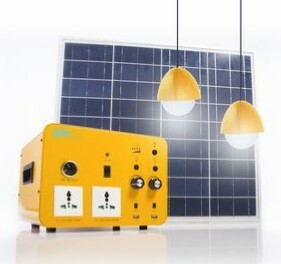 These solar home system series products are safe, quiet and no noise, environmental protection, no smell and easy to use. You can save your energy, enjoy your life anytime, anywhere.